Set up a property with the exact settings and tailor make the booking expierience for your guests! Each vacation rental property has its own booking setting with features ranging from booking fees and housekeeping costs all the way to the ability to add a different price for every single day of the year if you so desire. Each property can even have 2 tax rates for bookings so that you can stay 100% state compliant and even set each of these taxes to be tax free after a certain amount of days if you wish. Other settings include maximum persons, maximum booking length, days to book before stay and even if you require a deposit for bookings. 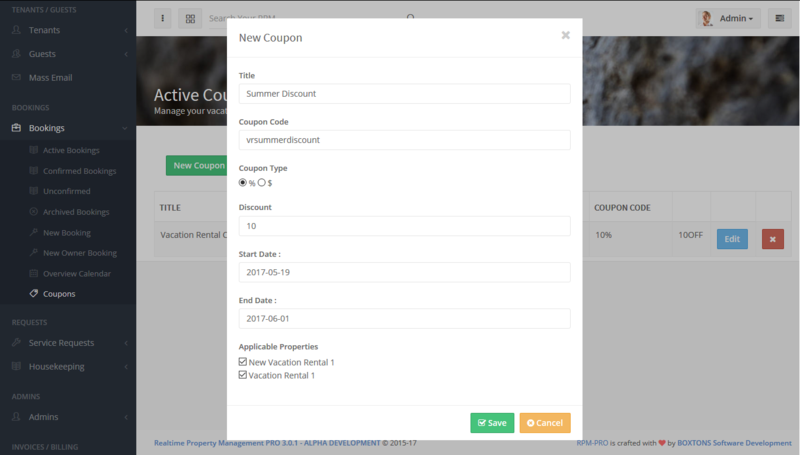 Everyone likes to get a deal on their next vacation, the Realtime property management pro software allows you to allocate discounts based on things like certain dates, per property and allows you to set either a % or a fixed amount coupon for each stay. 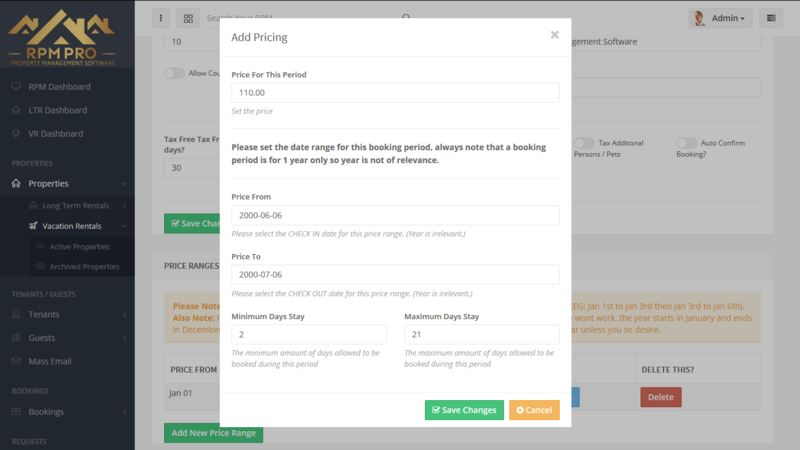 Its easy to create a new coupon and even easier for your guests to use one on the simple RPM booking form. 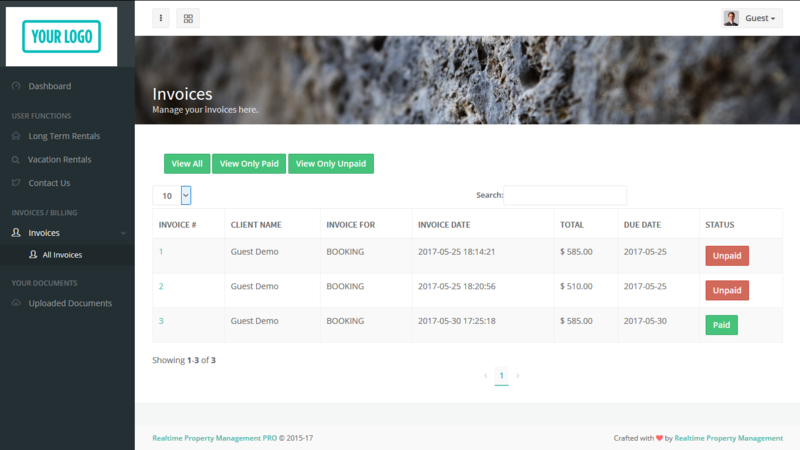 No more hassle keeping track of what properties you have available, as RPM Pro is realtime it keeps track of all confirmed bookings and prevents double bookings on that property so that you have full peace of mind and your guests know exactly what is available and when. With an easy selection of properties and a clear booking layout your customers can book with ease and get a clear overview of price before confirming the reservation. As an admin you have a clear overview of your active, confirmed, unconfirmed and cancelled bookings so that you know whats happening with your vacation rental business any time of day, any day of the year. Your guests get their own guest account so that they can keep track of all of their bookings and invoices and make online payments to you with ease.